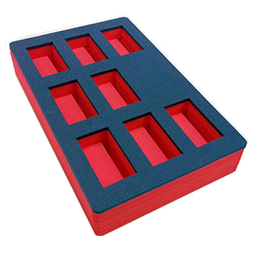 We manufacture custom foam inserts or material presentation foam inserts to fit your components using high quality, high or low density foam to protect your products whilst keeping your parts securely in place. 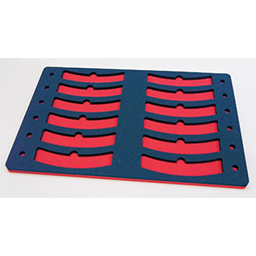 You have a choice of multi-coloured foam using multiple colours per tray / insert if required for your part identification purposes. With our in-house design and CAD facilities, we can manage your project from concept to production and provide card templates prior to production to ensure your parts fit in place and no time is wasted.